Banks have changed a lot over the last couple of decades, and not all of those changes are winning approval from consumers who use them. An analysis of financial services complaints, lodged with the Consumer Financial Protection Bureau (CFPB), shows the number of complaints in certain areas of banking services surged last year. Consumerprotect.com focused on complaints about six banking services – bank accounts, consumer loans, credit cards, credit reporting, mortgages, and student loans. It found that for five out of the six, the number of complaints filed last year represented the majority of complaints since CFPB started collecting them. In other words, consumer frustration with banking services appeared to spike in 2016. Nearly 36% of all complaints about student loans and credit reporting were filed last year. The rate of complaints about mortgage services actually went down in 2016. 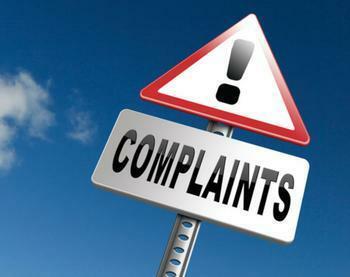 Despite that, mortgages still account for the largest percentage of overall complaints about banking services – 30%. Complaints about student loans, which surged last year, only make up 3.9% of the total complaints about banking services. At ConsumerAffairs, frustrated consumers also post accounts of their unhappy experiences with banks, especially in the area of student loans. Linda, of Hyde Park, N.Y., writes that she and her husband paid off their son's college loan with Wells Fargo, only to be presented with a bill for $2,000 in interest charges they say accrued after the loan was paid. Jon, of Pittsburgh, writes that he was making a student loan payment to Citibank over the phone when the call dropped. He said he called back and explained to another rep what had happened and asked for assurance that his payment would not be entered twice. What's behind the recent surge in complaints about banking services? The report's authors suggest it could be the changing nature of banks. “In a quest for higher profits, many have looked to acquire other banks and reduce or limit services to meet their investors’ needs,” the authors write.